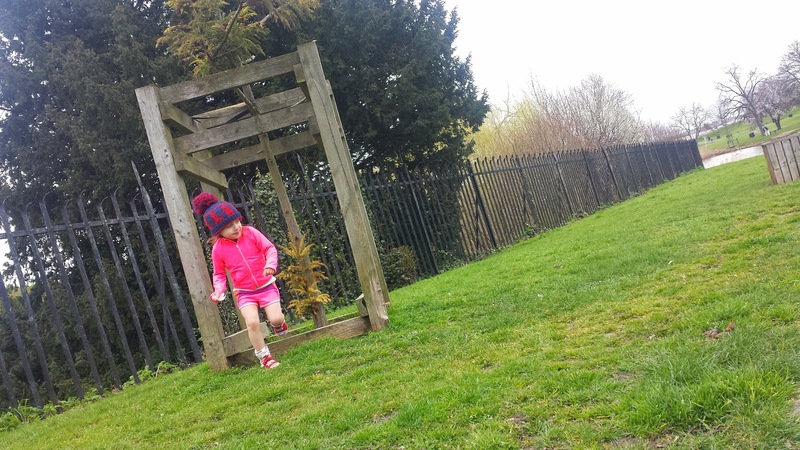 Last time we went to Gravesend junior parkrun, Matilda unfortunately took a tumble during the start and hurt her knees. Ever since that day she hasn't been too keen on returning. Her reason has been that it has been too cold, which is fair enough. We have been filling the void with a combination of swimming, lazing around, or have been to the Sunday mornings 'movies for juniors' screenings at the cinema (the entry fee is £1.50 per person - and I do like a bargain). Since that visit the course has been reversed which seems to have made a massive difference to the problems that were beginning to occur at the start as the event became more popular. A huge thumbs up to the team for recognising and acting on this! Matilda had a tonne of energy and was bouncing around all over the place as we walked over to the start-finish with fellow parkrunners Jane and Alex. Shortly after arriving I had a chat with the event director for the forthcoming Lullingstone parkrun, and then it was time for the warm up - which Matilda loves! 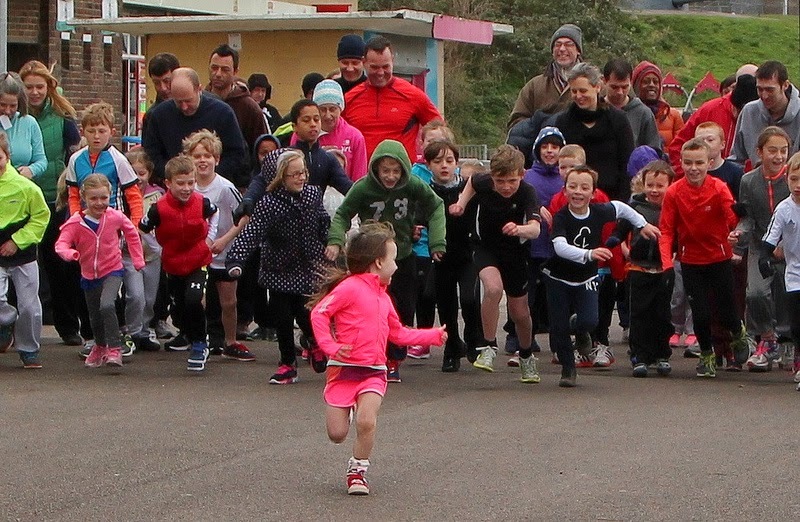 Once thoroughly warmed up, the junior runners lined up and the run director said 'ready...' but before he gave the order to go, Matilda bolted. After a slight pause from the run director and a cheeky backwards grin from Matilda, the rest of the runners were despatched. Now. 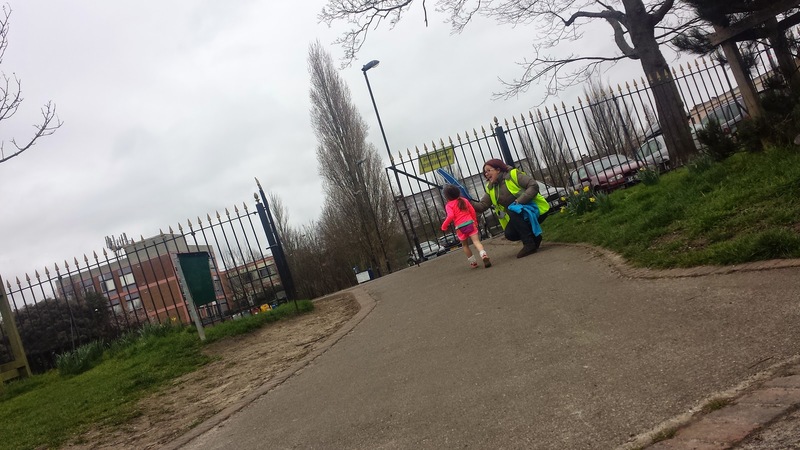 There is an official junior parkrun course that was created by the adults and there is the alternative course that is created by children, more specifically, was created by Matilda*. Today. For most of the course there is no choice but to follow the prescribed route, but in a few spots there are some slightly off-piste variations of the course that can be used (unofficially of course). There was quite a bit of river/sea debris along the riverside path and this became the first additional feature. Instead of skirting around the edge, Matilda decided that the random bits of seaweed and logs would become hurdles. Around a few corners and there's a small off-road section beside the main path containing some large rocks and small grass mounds - obviously these are to be jumped on, run over and sprinted down. Another theme of today's run was Matilda's runny nose (aka snot-a-roos), which every few minutes needed to be wiped away (Daddy, I have snot-a-roos). And being such a well organised parent, I of course did not bring any tissues.... My punishment for being so unprepared was to donate my sleeve to the snot-a-roos cause. Which might seem a bit 'eurgh' to non-parents, but as a parent I think you just get on and deal with it in the best way you can at the time. Further on, the path is the easier option but why take that when you can easily sneak past the wicked witch and jump through the frame surrounding a small tree. Or you can even stop for a few seconds to pick up some feathers for your collection! Then there were the marshals offering high-fives - today Matilda had seemingly decided to turn these into chest-fives - I'm not sure if this is a new thing or if she was just being lazy! This continued around both laps which of course meant that a personal best was out of the question. But the brilliant thing is that she doesn't care about personal bests. At this age it's so important to let kids be kids. 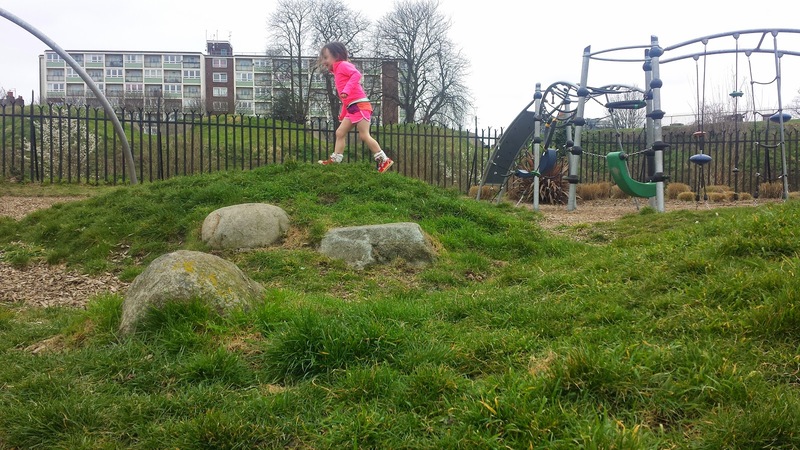 If during the run they want to run around off the path, pick up random stones, briefly run the opposite way along the course, or even pop into the playground to have a quick slide, this is surely the time to embrace it. Because once they get older they might become obsessed with personal bests and their Garmin splits, and that innocent, care-free spirit may be lost forever.